Its shapes are of Baroque style, the plant is shaped like a Latin cross. It has 11 altars and Marble parchment of 1823. In the right nave are the tombs of Cardinal Lavitrano and Archbishop Giovanni Regine. The church was built in the 14th century. by fishermen of Ancona and dedicated to S. Nicola da Tolentino and an altar was dedicated to S. Maria di Loreto. This church, which was born as an oratory, was enlarged and extended in the seventeenth century and was then enriched with stucco and marble in 1780. It was consecrated on June 26, 1785, as described on the plaque above the gateway to the bells. The sacristy, however, was enlarged in 1684. Near the church there is an Oratory devoted to the Assumption. 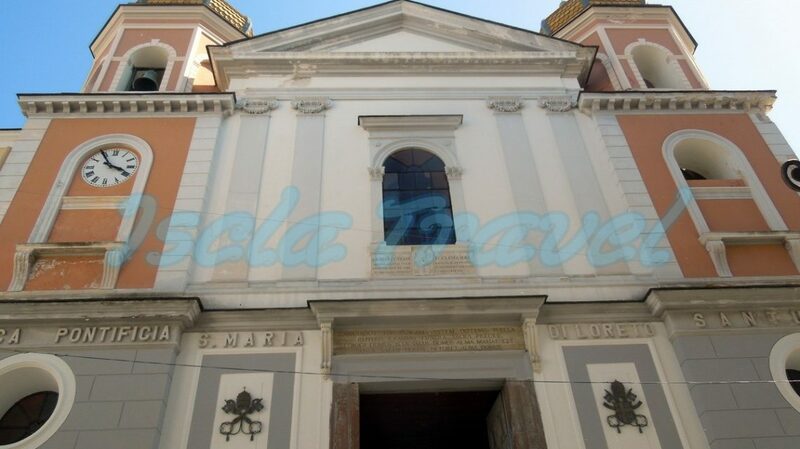 Do you want to visit "Church of St. Maria di Loreto" during your holidays in Ischia?